1 package sweet potato, pumpkin and/or squash ravioli. According to instructions on package [I am careful not to boil ravioli hard as I find this breaks up the pasta and causes the filling escape]. Mix to coat fruit and nuts thoroughly with syrup then simmer until ravioli is cooked. Drain ravioli well, then add to wok. Mix thoroughly but gently being careful not to tear the ravioli. 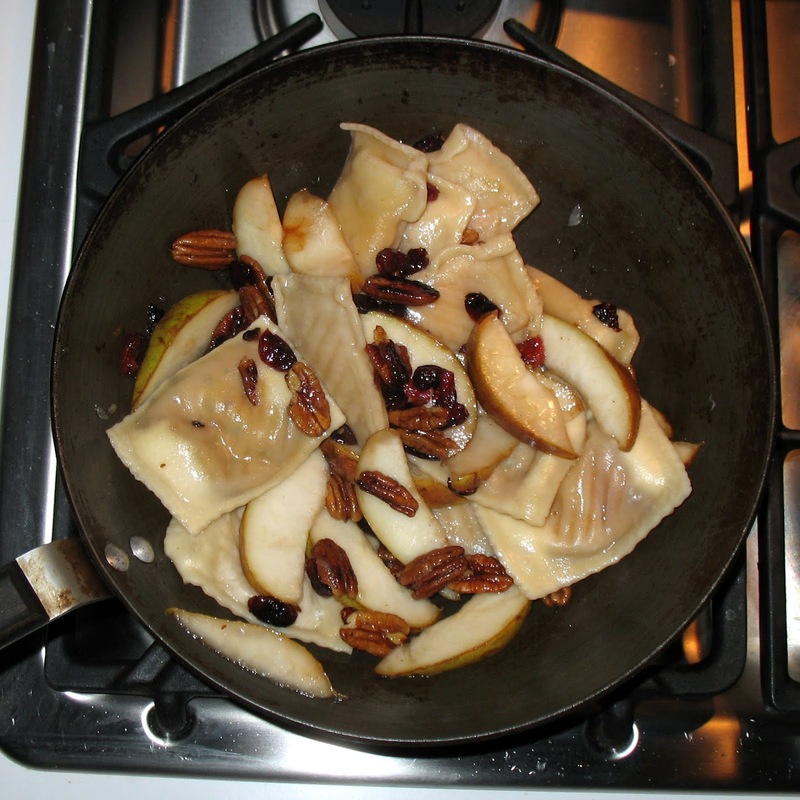 Serve on warm plates making sure that most of the pecans, pears and cranberries are on top of the ravioli.